Hello everybody, welcome to this month's review of what my students at TheGuitarLesson.com have been up to. August is traditionally a slow month for guitar lessons, just like the other summer months. It's a seasonality thing. Now let's have a look at some statistics, shall we? It's great to see this wonderful song enter the top 5 list for the first time. I have to tell you, this is one of my favorite songs of all time. Not necessarily because of the guitar playing (ukulele to be exact). 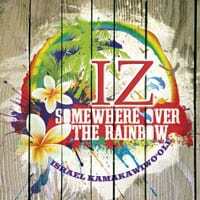 The song carries such a calm, gentle, feel good vibe, it's hard to beat. Talk about surprises, here is another song that made it to the most watched list last month. 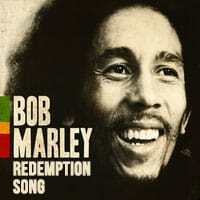 Redemption song is one of the most famous songs by Bob Marley, and it should be one of the first songs beginners learn. It is really simple to play, sounds great, and will help you learn chords and chord changes. This Elvis song has really been getting some love from everyone this summer. Maybe because summer is the season of love? 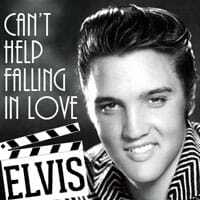 Either way, if you haven't learned Can't Help Falling in Love yet, you really should, it's a great song. This cover is fairly easy to play, and uses just 1 barre chord. It is very interesting, how this song is always somewhere in the top 3, every month. Don't get me wrong, it's a great song, but there are other great songs on the site as well. 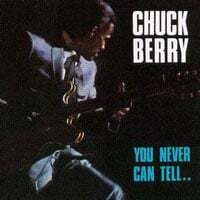 I guess I might have underestimated the popularity of this Chuck Berry classic. This is a month full of surprises. This song has never been in the top 5 list either, and here it is, at first place. 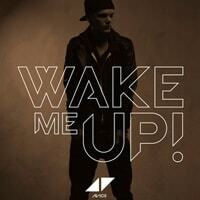 I'm pretty sure it's because Avicii has recently announced that he will stop giving live performances. Don't you wish you could retire at the age of 27? Anyhow, I'm glad the song is here, because it is a really good one. It's a great song of course, and it'll help you really advance your strumming technique. 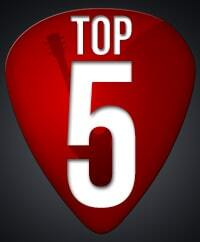 There you have it folks, these were the most watched guitar lessons on the site in August. It's nice to see so many new songs make it to the top of the list, and I hope that seeing other students have been learning them will motivate you to grab your guitar, and learn a few of the them as well.